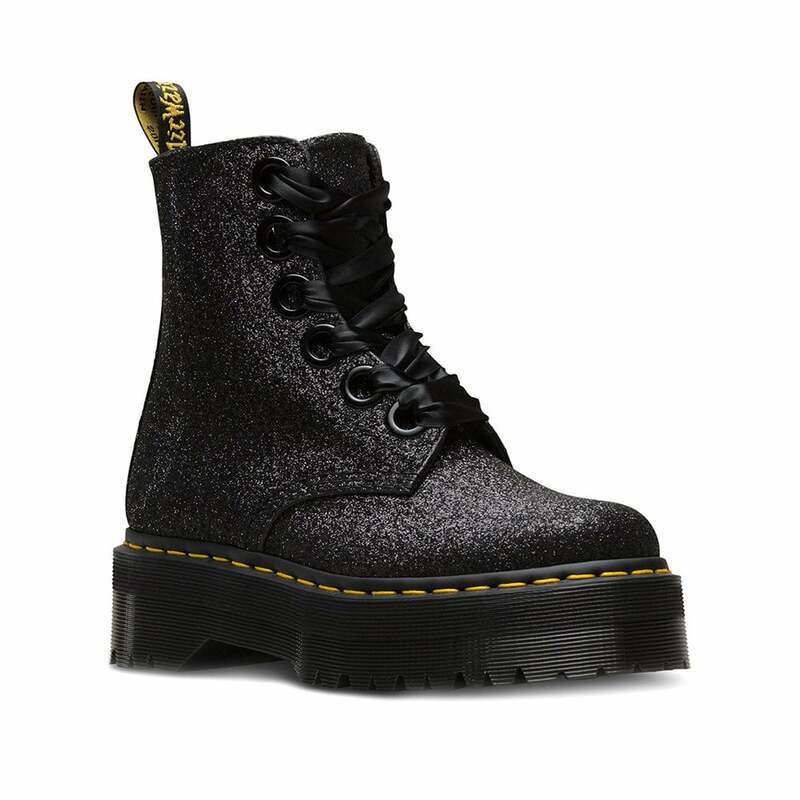 This season Dr Martens have given the Molly boot a stylish makeover, covering it in a sparkling black glitter PU material. A six eyelet, oversized, ring lace-up fastening provides a secure comfortable fit for these fabulous womens boots. Updating the look, the Molly has a double height sole but Dr Martens DNA shines through with their AirWair sole unit, heat sealed, glued and Z welt stitched to the upper with yellow stitching, great shock absorption as well as oil, petrol, acid, alkali and slip resistance. As a finishing touch, this beautifully styled boot features flat black ribbon laces with alternative round black laces included so you can choose your look.